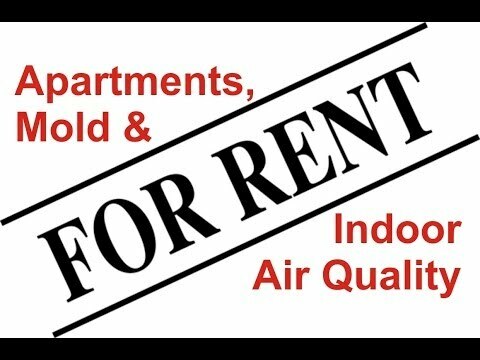 The professionals at Clark Seif Clark (CSC) provide property managers with indoor environmental quality testing and consulting solutions. To prevent mold issues in apartments, it is imperative that property managers deal with any moisture issues in a timely and effective manner. According to some estimates, there are approximately 30 million apartment units in the United States. These units are managed by landlords and professional management companies and range from low income apartments to luxury living accommodations. Since mold occurs naturally in the environment, they can enter an apartment from the outside through open doorways and windows as well as through the heating, ventilation, and air conditioning system’s outdoor air intakes. Spores can even attach themselves to people, making clothing, shoes, bags, and even pets all vehicles for transporting mold into an apartment. If mold spores land on surfaces where there is moisture, such as where leaks may have occurred in roofs, pipes, walls, or where there has been flooding or excessive humidity, they can begin to grow in as short as 24 to 48 hours. Many apartment building materials and tenant furnishings and belongings provide suitable nutrients that encourage mold to grow when moisture is present. Wet cellulose materials, including paper and paper products, cardboard, ceiling tiles, wood, and wood products, are particularly conducive for the growth of some types of mold. Other materials such as dust, paint, wallpaper, insulation, drywall, carpet, fabric, and upholstery, also commonly support mold growth. Mold may even be on or in many building materials before they were ever even used to construct the apartment complex. To learn more about mold and other indoor air quality (IAQ), industrial hygiene, health and safety issues, please visit www.csceng.com, email csc@csceng.com or call (800) 807-1118.